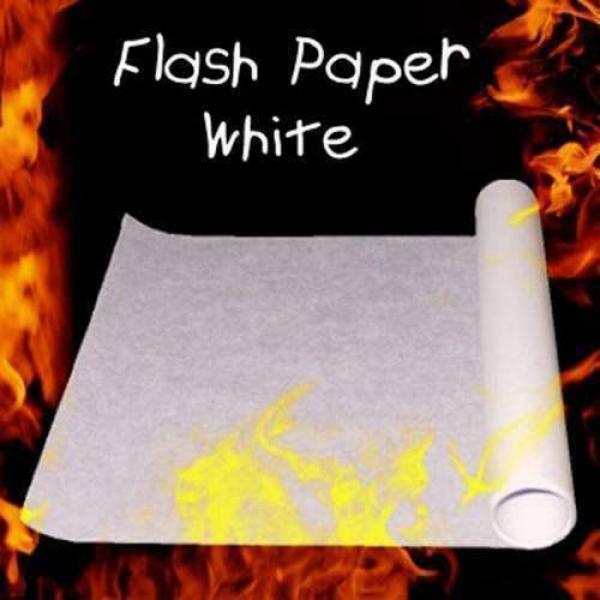 Our thin flash paper napkin is a very fast burning flash paper ! Its thinness makes it perfect for all the effects which need to manipulate flash paper (like a flash rose for example). It’s very particular size (twice the size of a regular flash paper !) for a more than friendly price makes this flash paper a “must buy”. Contains one 50x21 CM white sheets. Supplied soaked in water to prevent an accidental fire.